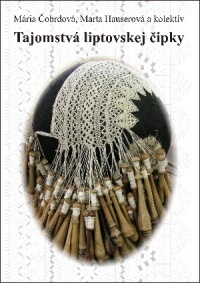 Book Secrets of bobbin lace from Liptov - Mária Čobrdová, Marta Hauserová and colleagues. The book is devoted to the issue of bobbin lace from Liptov. It contains over 36 detailed sketched patterns with photos of finished patters. A4 format, 119 pages, color printing, hardcover, price € 25. Sample this book can be found here. More information can be found here: Secrets of bobbin lace from Liptov. 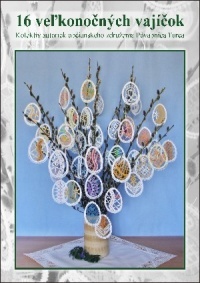 The brochure includes 16 detailed sketched patterns of Easter eggs with elements of bobbin lace from Liptov. All sketches are also accompanied by examples of finished eggs. A5 format, 40 pages, color printing, price € 8. Sample of this brochure can be found here: 16 Easter eggs. 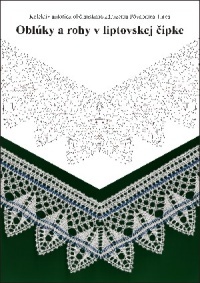 The brochure is a free continuation of book Secrets of the bobbin lace from Liptov. It shows the new way of application patterns for Christmas decorations. 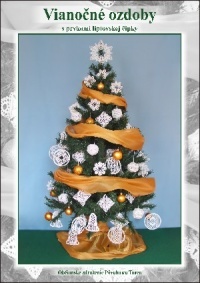 The brochure contains 78 detailed patterns of Christmas decorations. A4 format, 36 pages, color printing, price € 14. Preview brochure can be found here: Christmas decorations with elements of bobbin lace from Liptov. it is appropriate to state telephone contact. After receiving Your ordering e-mail, we will inform you about the total price of Your order - with shipping costs, packing costs and customs fee. This price offer will be made as a proforma invoice. Please consider, that we are a non-profit organisation. The prices stated on this web-page are just our production costs. Therefore it is not possible to offer any discount. We prefer payment in advance to our bank account. Data required to enter the payment will be send in the proforma invoice. We can also sent the package by cash on delivery. But this method may be not possible in some countries. It is also possible pay by cash, if You would like to pick up the publications personally in our city. If you choose to do so, please let us know it by e-mail at least three days in advance.